Metro PCS offers the LG Optimus F6 No Contract 4G Smart Phone for $69 + Free shipping. Note: this is a locked phone, to unlock it, try to get an Unlock Code on ebay for $1.67 to use the phone with other GSM providers (T-Mobile, AT&T, etc). But this is NOT guarantee. Features: Dual Core 1.2GHz, 1GB RAM, 4GB storage, 4G speed, 960x480, 5MP rear camera, Bluetooth 4.0, Android 4.1.2. MetroPCS offers the LG Optimus L70 No-Contract 4G Android Smartphone for $49. This $49 mail-in rebate drops it to $0 with free shipping. Features: 4.5" 480 x 800 Gorilla Glass touchscreen LCD, Cortex-A7 1.2 GHz dual-core processor, 1GB RAM, 4GB internal storage, 5-megapixel rear camera, front-facing camera, 1080p video recording, 802.11n wireless, Bluetooth, microSD card slot, and Android OS 4.4. MetroPCS offers the no-contract Nokia Lumia 521 Prepaid Windows 8 Phone for MetroPCS for $49. This $20 mail-in rebate drops it to $29 with free shipping. Features/Specifications: a Qualcomm Snapdragon S4 1GHz dual-core processor, 4" 800x480 IPS LCD, 512MB RAM, 8GB internal memory, microSD slot, WiFi, Bluetooth, and Microsoft Windows Phone 8 OS. 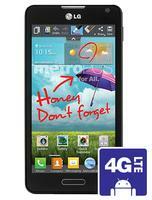 Metro PCS offers Huawei Activa™ 4G by MetroPCS.Blaze forward with 4G technology for $149. No contract required. Metro PCS also offers unlimited voice/data/text starting at $40 a month.